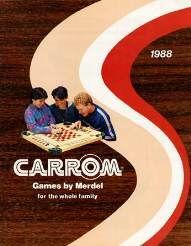 The Carrom Company has been manufacturing quality games for 130 years, reaching homes across the country. Our Ludington, Michigan manufacturing facility is in the heartland of America where family means everything and quality time is number one. We make games so you can make memories. 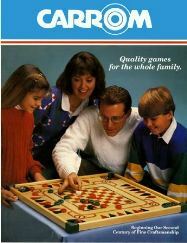 Find your favorite Classic Family Game and continue the great tradition. Quality products. Made in America. In the last quarter of the 19th century Henry Haskell, a Sunday School teacher, viewed with alarm the growing number of boys who loafed around pool rooms. 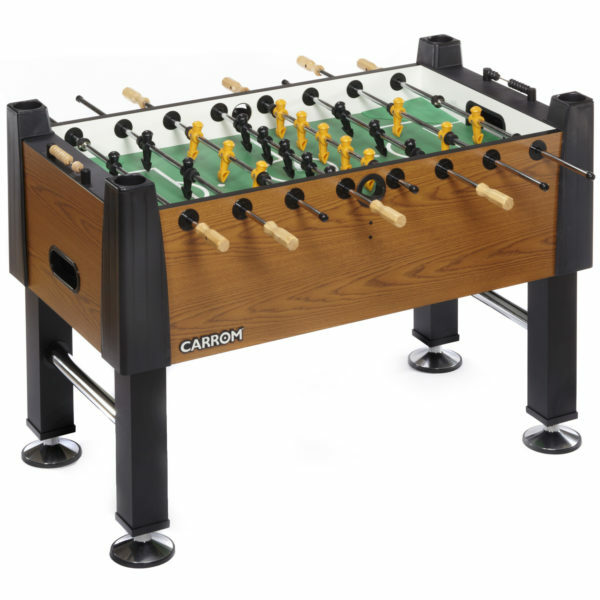 (Ironically, the company would eventually manufacture pool tables.) Haskell had an inventive mind and he concentrated his thought on supplying a game which would appeal to these boys and supply wholesome enjoyment. 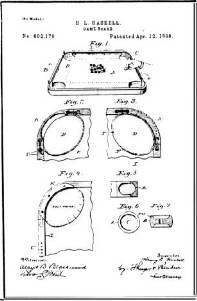 Soon after, Haskell patented and introduced the U.S. Carrom game board. Produced at Ludington Novelty Works (Ludington, MI) of which he was part owner. Ludington Novelty Works and Archarena Company of Peoria, IL., merge and become Carrom-Archarena Co. Production stays in Ludington. (1901) Gameboard display rack introduced. (c. 1903) Beautiful line of billiard and pool tables also manufactured along with many varieties of wood furniture. J.S. Stearns, a wealthy industrialist, purchases an interest in the company and becomes president. Haskell was secretary. 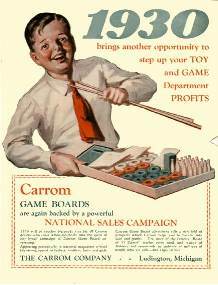 The Carrom Company continued to grow and prosper until the late 1920’s when the Great Depression began. The company was kept alive only because of the determination of the Stearns’ interests to maintain as much employment as possible during a difficult time. “Carrom Boy” first appears in advertisements (1930). 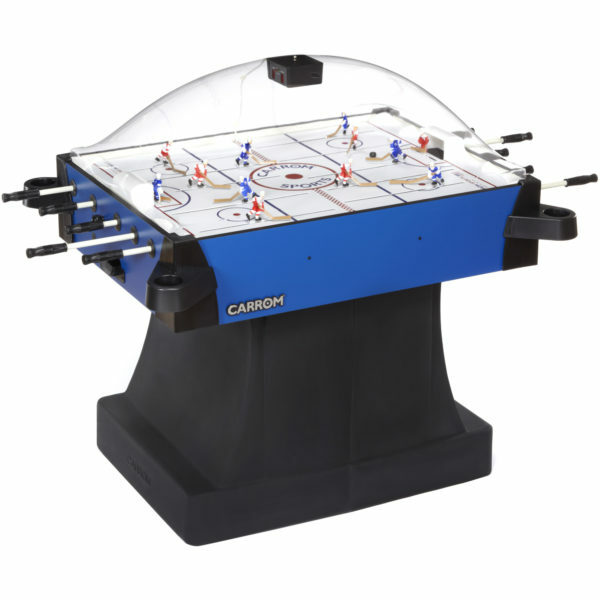 Carrom Baseball game board (style BB) introduced (1937). Lew Fonseca rules added in 1938. Highly collectible boards today. Carrom Company enters the field of institutional furniture manufacturing (c. 1937). This was a new field for Carrom and a lot of money and effort went into making the proper entrance. 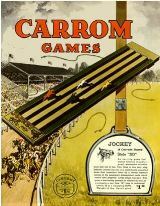 The strain proved too great for Carrom which was close to bankruptcy by the end of the 1930’s. During WWII, Carrom Industries made large folding tables to display maps for the military while in the field. Shampaine Industries of St. Louis, MO. 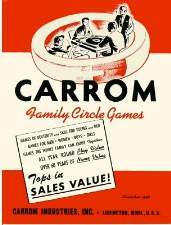 buys Carrom Industries (1951). Institutional furniture makes up the largest part of the company’s volume. 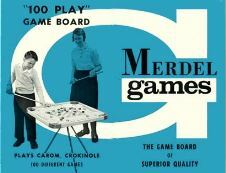 Three Carrom Industries employees break away and form Merdel Manufacturing (1960) which directly competes with Carrom Industries. Merdel uses one “R” on their Carom game boards. Both companies are in Ludington, MI. Lawsuits eventually follow. 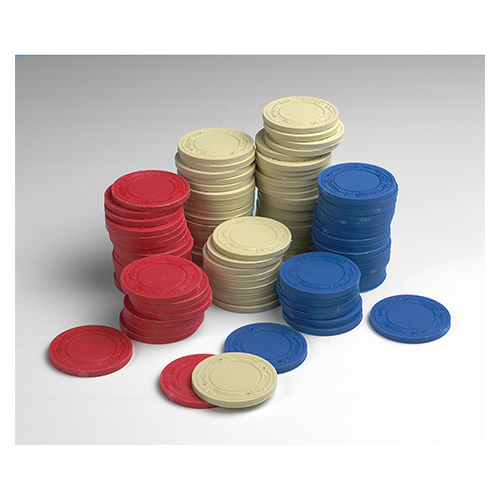 Plastic corner first used on game board by Merdel Manufacturing (1961). 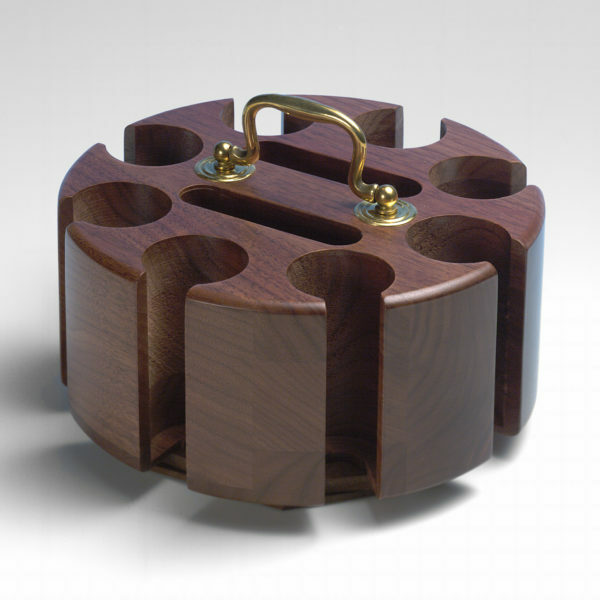 Invented by Robert Erickson. In 2014 the Carrom Co. began its inaugural “Unplug your Kids: Connect the Family®” initiative and it’s one we hope to carry on for years to come. We asked families across America to turn off their TVs, computers, phones and mobile devices and spend a few hours playing games around the kitchen table or in their family rooms. We hoped to start a movement that would encourage families to unplug every Sunday and spend time together laughing, playing games and just having fun. 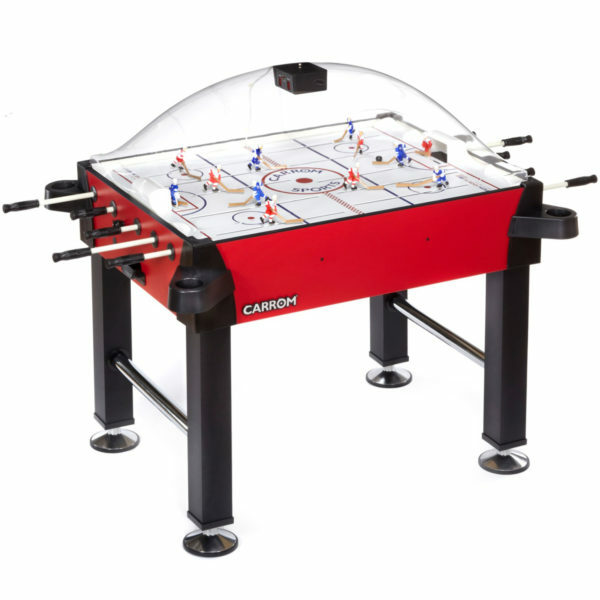 We believe there’s nothing more important than family time and we believe you want that, too, which is why you’ve decided to purchase a Carrom game. Be part of our future! Visit the online shop and unplug your family!